I'm just tweaking some photos for a wedding magazine. It will be published at the end of January, early enough to get ideas for the great day and early enough to realise them before the great 'wedding run' in late spring. I've told you about Frauke earlier. She is the owner of the best flower shop I know. And I do know a lot! I've designed a new advertisement for her to be placed in this new wedding magazine. In addition we wanted to send them some photos of wedding decorations to be inserted into the editorial part. 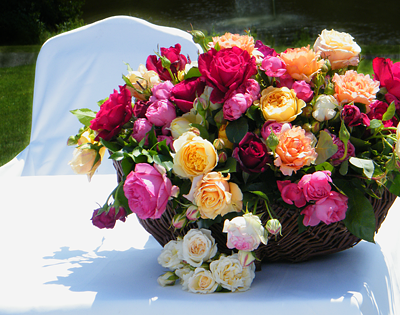 Frauke and her staff do all these amazing flower arrangements. They then take the photos immediately after the set up. They are no photographers and have to cope with bad light or disturbing surroundings. The best photos I edit later. So the title of this post is not quite right. 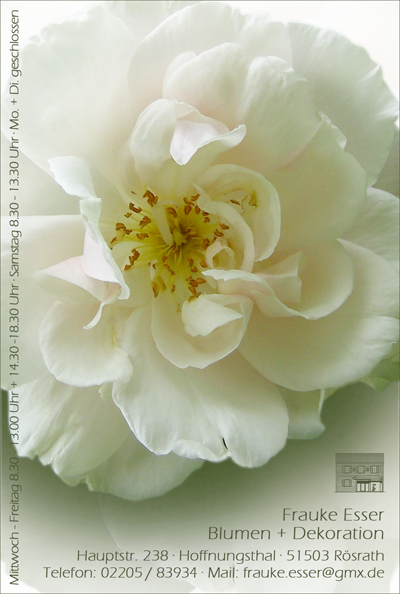 It's not for the sake of love but for the sake of flowers - which I love ;-). I want to share some of my favourite photos with you - it's all about atmosphere. 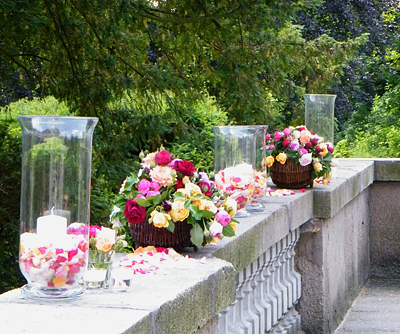 Decorated garden balustrade at the same wedding. 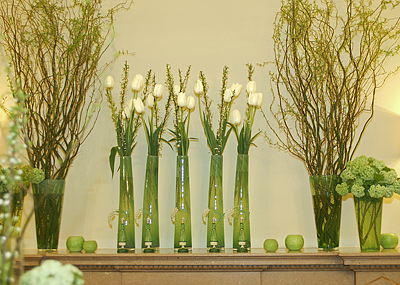 Decorated mantelpiece at a wedding in early spring. 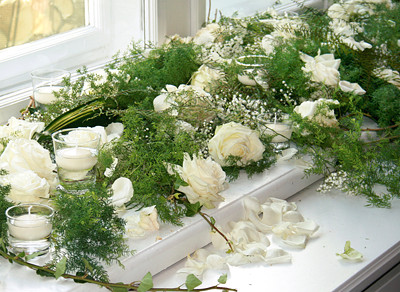 White roses on a deep windowsill. 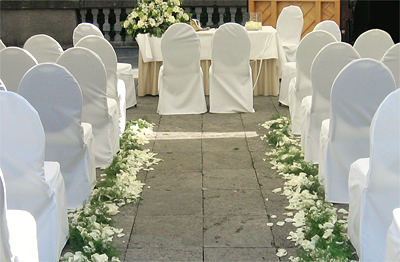 The way to the registrar's table laid with asparagus and white rose petals. A wedding in late summer. 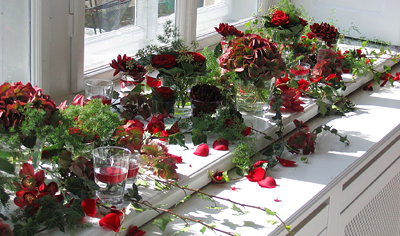 Again, a deep windowsill, beautifully decorated with dark red hydrangeas and deep red roses. My favourite. 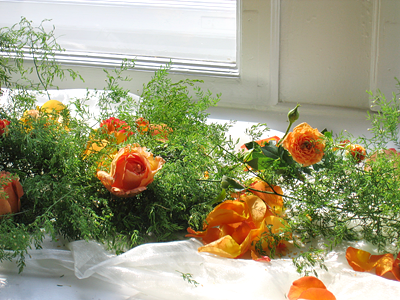 Orange roses and asparagus laid on white organza. Summer decoration at its best! And finally, Frauke's new advertisment in the above mentioned wedding magazine. The beautiful location in the photos above is Schloss Lerbach in Bergisch Gladbach. Enjoy! All photos but the advertisement are copyrighted by Frauke Esser.